Built at the confluence of two rivers. 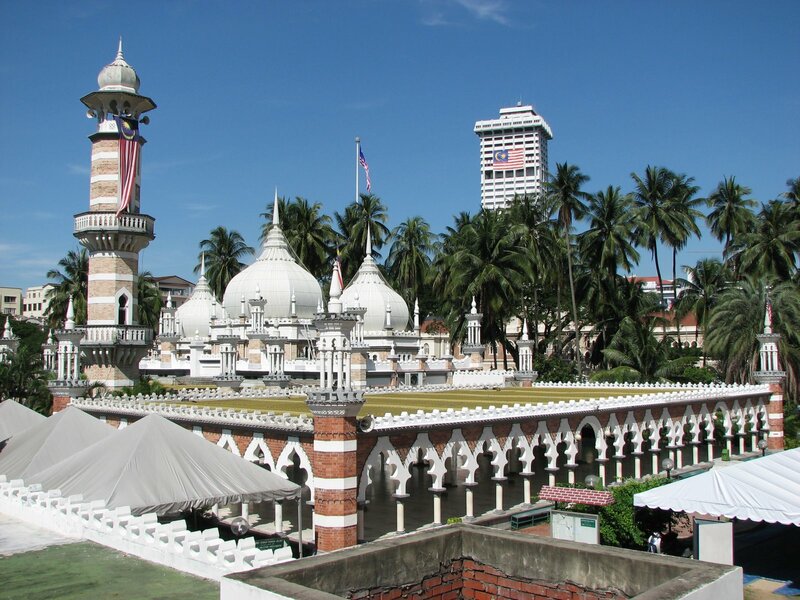 The old mosque in the heart of city centre Kuala Lumpur known as Masjid Jamek, is the oldest mosque in Kuala Lumpur and still stand to this day. Located in the confluence of two rivers make it looks like it was built on the top of an island. The historic mosque was built as part of the original complex of old buildings dating back to 1909 as well as Sultan Abdul Samad Building nearby. 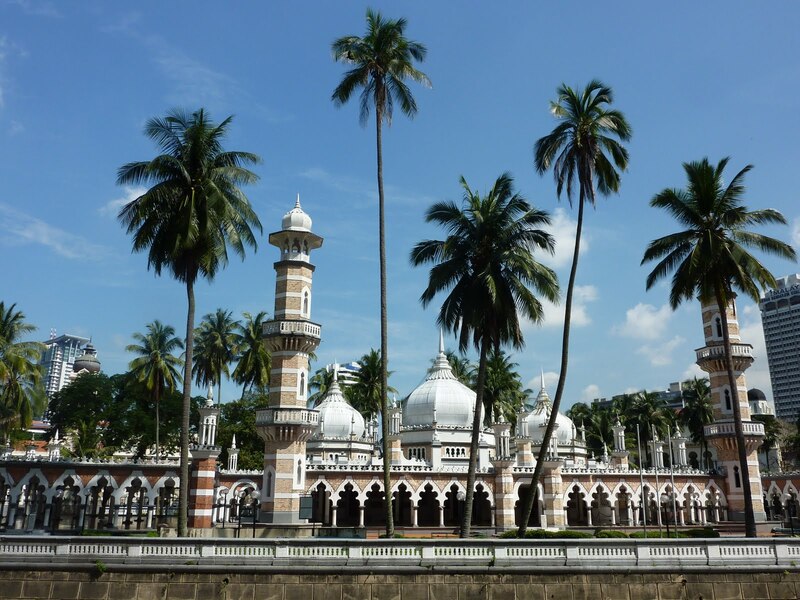 While the architect designing it was Arthur Benison Hubback with Mughal architecture that also apply equally as well as other buildings surrounding the area. 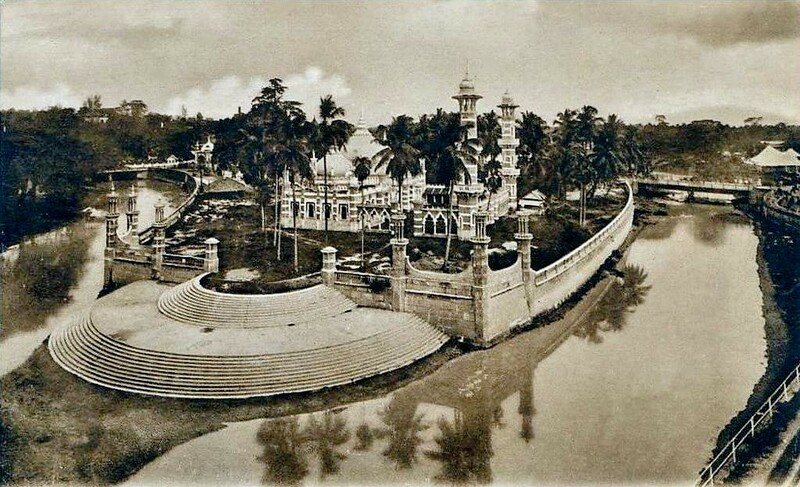 An old picture of Masjid Jamek. 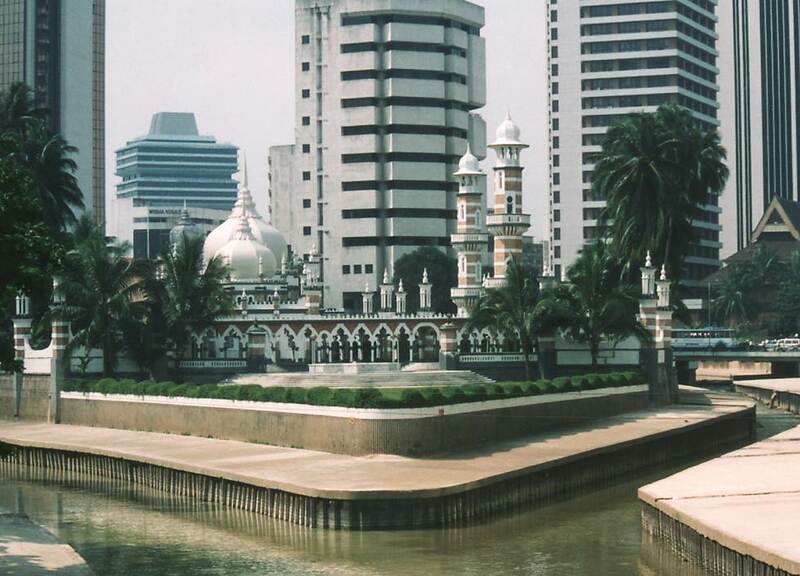 The old part (left) and new part (right) of Masjid Jamek. It’s strategically located with transport facilities of electric train’s stations the Kelana Jaya line, Sri Petaling line and the Ampang line. This makes it the most convenient location to visit. 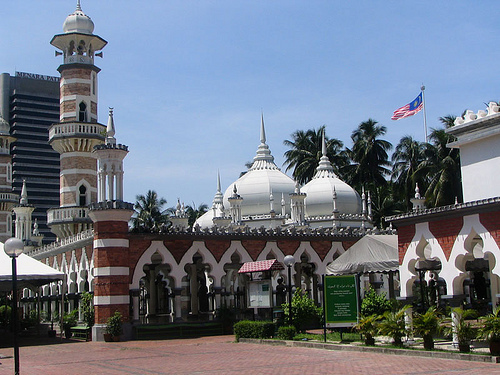 An array of attractions nearby includes Jalan Masjid India, Merdeka Square and Central Market. 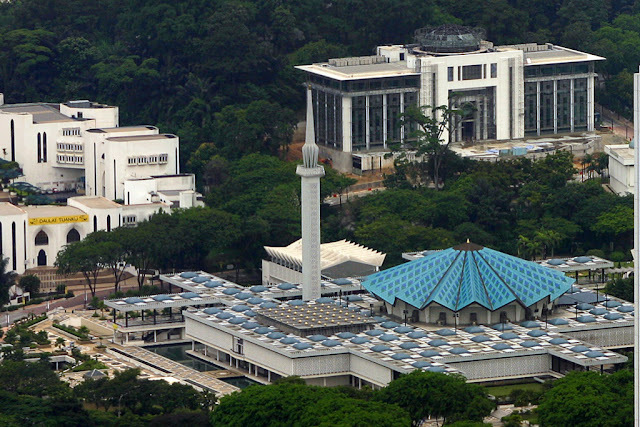 The mosque always gets an attention from the government with refurbish works and additional areas to facilitate the requirements as needed. 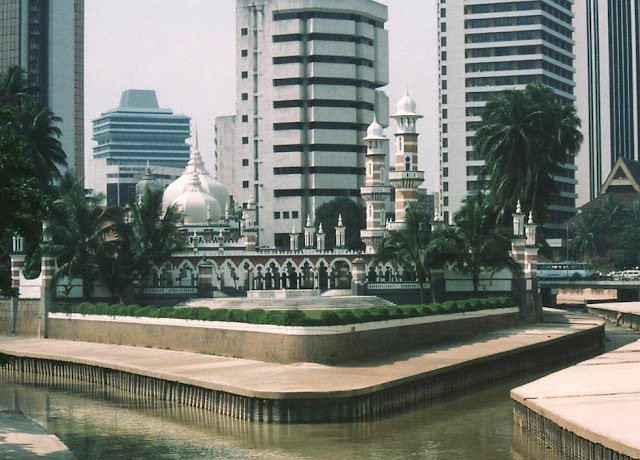 It is one of the important historical landmarks for Kuala Lumpur. 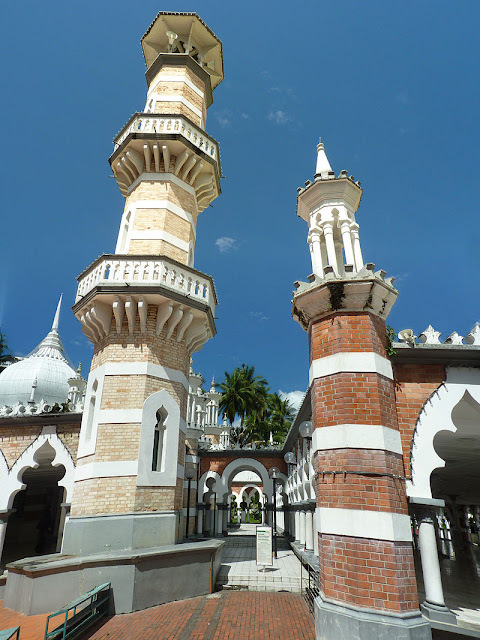 The main entrance of the mosque. Thank you for your visit to my blog. I am not sure how my article appeared in Yahoo News. This article is too simple, I wish different articles will appear in Yahoo News instead. Since Yahoo is a search engine, it will keep on showing all articles across the internet. Keep on writing.